With a degree in biology as well as dentistry, and with several additional years of training in prosthodontics and maxillofacial prosthetics, Dr. Karimipour’s specialty is in rehabilitation. 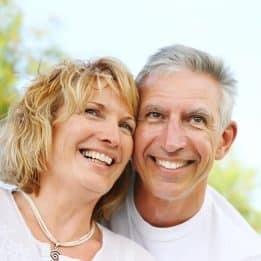 Much like replacing lost teeth with lifelike, biocompatible dental implants, maxillofacial prosthetics is the replacement of lost oral/facial bone and tissue, such as the mandible, the soft and/or hard palate, the tongue, and more. With the right prosthesis, patients can once again bite, chew, swallow, and speak properly, as well as regain a significant measure of their self-confidence. Patients may require a maxillofacial prosthesis if they have suffered an accident or have had oral/maxillofacial bone or tissue removed to treat disease, such as cancer. Some patients may experience a disability caused by a neurological disorder or a stroke and need a prosthesis to help them regain proper oral and facial function. Because of the complex nature of oral/maxillofacial structures and their importance to everyday activities, Dr. Karimipour works closely with other specialists, including ENTs, oral surgeons, plastic surgeons, oncologists, and more. Our dedication to our patients means that we do all we can to help them enjoy a high level of confidence and quality of life. To find out if maxillofacial prosthetics can help you, speak with Dr. Karimipour by calling My Dentist in Londonderry, NH, today at (603) 965-3407.